2037, Pink Color, Light Weight Cards, Hindu Cards. 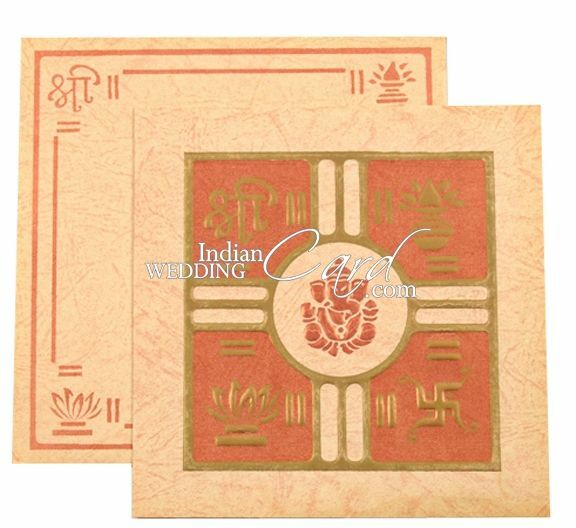 Embossed Ganeshji & line border on cream matt textured sheet card. 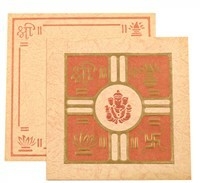 Similar Ganesh figure & border on envelope. Fine pearl colour pattern as background on interleaf. Two colour screen printed. Silk Screen Printing in Bronze color matching to card front.